​Chelsea loanee Gonzalo Higuain has revealed the 'big' difference between the Serie A and the Premier League, and has also insisted that he is 'happy' to be working with Maurizio Sarri once again. 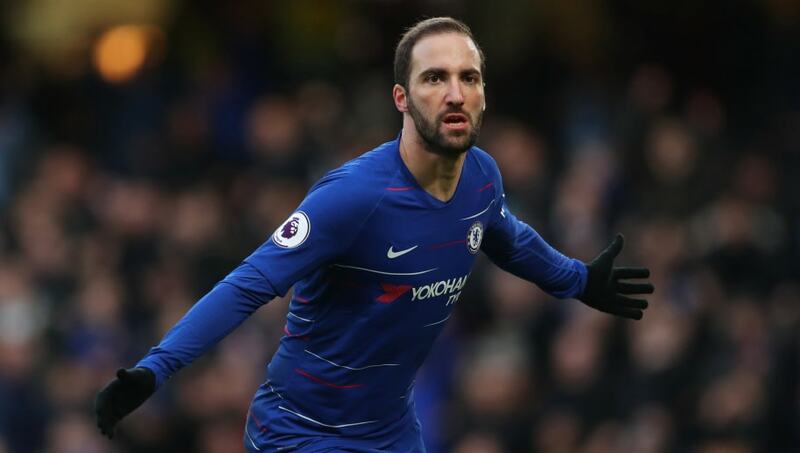 Higuain, 31, joined the Blues on an initial loan in January from Juventus for the remainder of the season - which can be extended by a further 12 months - and the Argentine recently opening his account for the London club with a brace during a 5-0 win over Huddersfield Town. It's the second time that ​Higuain and Sarri have worked together, after the Italian oversaw the striker's best goalscoring season at ​Napoli in 2015/16; a season in which Pipita netted 36 goals in Serie A. The 31-year-old, following his weekend heroics, stated that he was delighted to be working with Sarri once again. As quoted by the ​Evening Standard, Higuain said: "Sarri is the coach who has got the best out of me as a player. "He’s someone who knew how to work with me, particularly on the emotional side. That (2015-16) was a wonderful season, one in which I broke the goal-scoring record, which is very important out there. It was a fantastic year for myself and Maurizio, a period which we shared together, even though it was for a short time. "I’m just happy to be working with him again at a big club, which has so much history and wonderful team-mates. I’m really happy to have been given the opportunity to do that and I want to get back to that level. I think everything is set on the right path to achieve our goals by the end of the season." The result against the ​Premier League's bottom club moved ​Chelsea back into the top four, as well as ending a run of two successive league defeats. Higuain made his league debut in the second of those defeats against Bournemouth, and while admitting there's a 'big difference' with defenders in England, he believes he'll be able to adapt. He added: "I can see there is a change from the Italian league because here the defenders go into you harder, especially when you receive the ball to feet. "This is a big difference, but I have got a good impression of English football and as I gradually get to know my team-mates it will only get better for me."